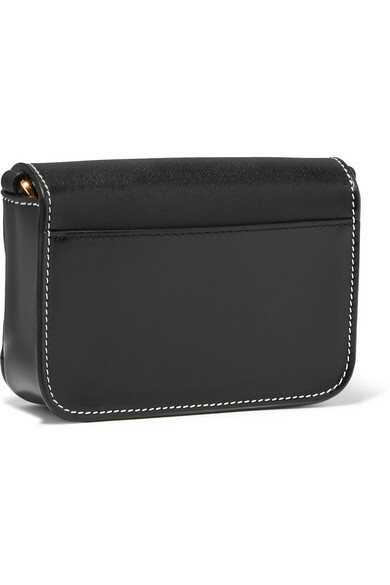 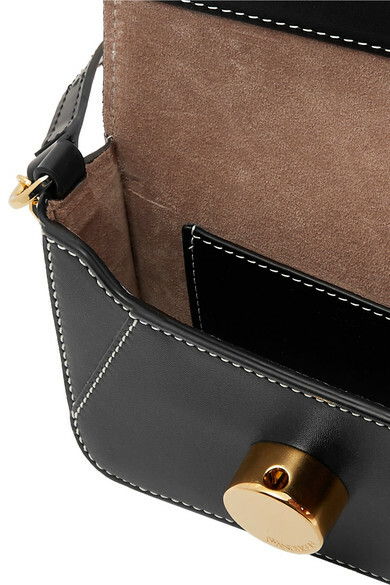 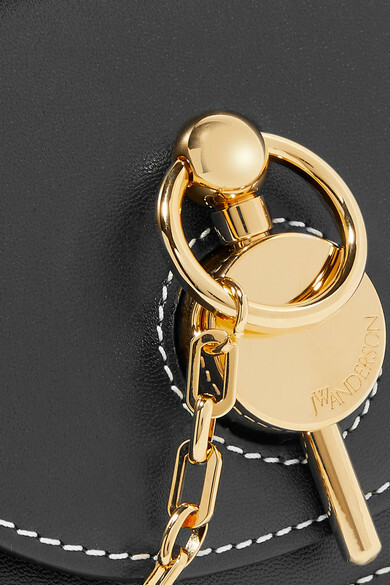 JW Anderson's 'Nano Keyts' bag has been made in Spain from durable black leather and is sized for your everyday essentials - think cardholder, lipstick and keys. 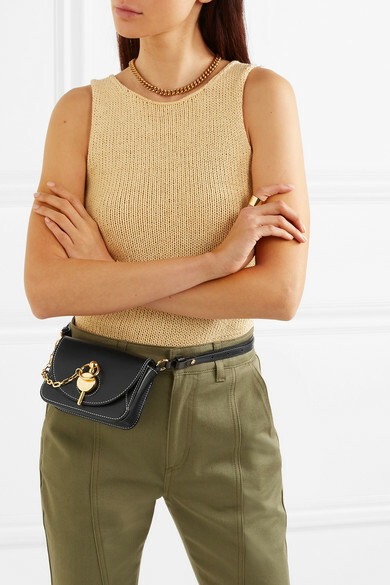 It's detailed with the label's new gold hardware inspired by sardine tins and can also be worn as a belt. 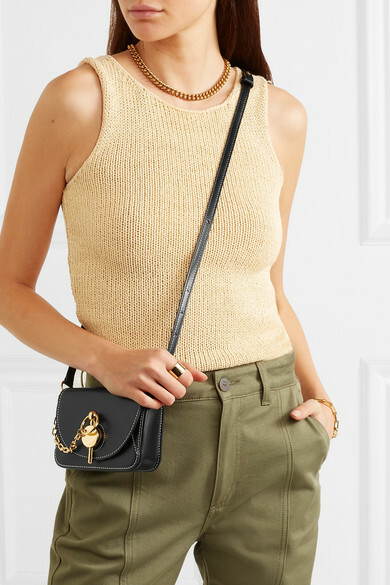 Shown here with: Loewe Pants, Theory Tank, Laura Lombardi Necklace, Monica Vinader Bracelet, Jennifer Fisher Ring.